Gastronomy could be considered an important element of cultural essence, and Colombian gastronomy can easily summarize Colombian culture in a holistic way, showing our history, our diversity, our natural resources, and our way of life. So, every region with its exotic fruits and particular ingredients can offer a different culinary experience. 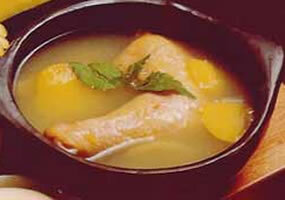 However, there is also a very important aspect that influences the gastronomy of a region, which is the weather. The weather – or climate – can affect the different dishes found in a region and their preparations could have different characteristics in different regions. 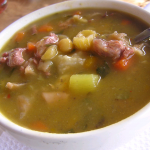 In Colombia, warm regions usually offer cold drinks, while cold regions usually offer hot soups. Consequently, this article is about common preparations and habits that warm the people’s stomachs in one of the coldest cities of Colombia: Bogotá. 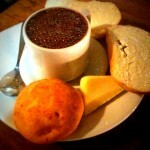 Hot chocolate with bread and cheese: This is one of the most common specialties that Bogotanos usually have during late afternoon and breakfast. It is a special moment where friends and family meet to share news and is a habitual practice during gatherings. 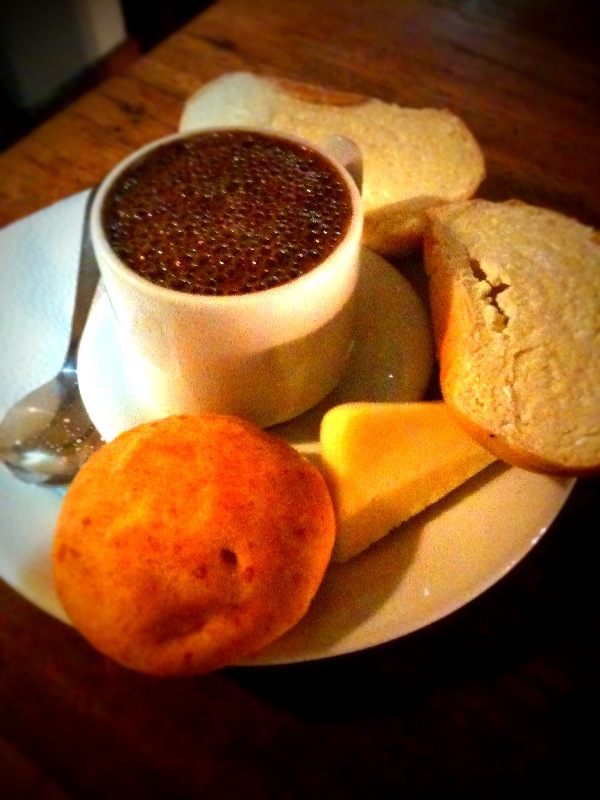 There is not a definitive reason why Bogotanos mix cheese with bread and hot chocolate but, as is usually seen in Bogota, they like to submerge cheese in chocolate to drink it in that way, and I have to say that this combination is warm and delicious to Colombian palates. 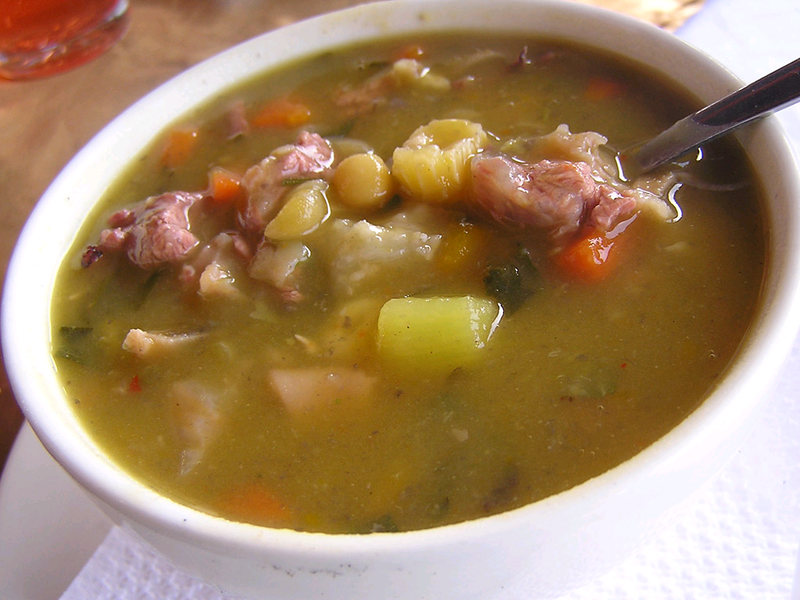 Mute: This is one of the most exotic soups in Bogotá. Basically, mute is a mix of corn, pork, potatoes, and several vegetables (depending on the chefs’ specialties). This soup is full of these ingredients and it is offered in small cups. However, no matter how small the serving looks and no matter who is going to eat it, only a single cup is necessary to fill you. About the description, I have to say that this soup has a complex preparation and that is why it is difficult to prepare at home. On some occasions, the soup looks quite disgusting, but once you taste it you will not regret it. Sancocho: This is literally the most common dish in Colombia, and it is on the menu in almost every popular restaurant or home. It consists of a mix (like almost all traditional Colombian soups) of vegetables, potatoes, chicken, meat, avocado, plantains, corn, and yucca. Some sancochos have different types of preparations, but it is always the same indescribable taste and smell. I have so many memories of this soup that it is difficult to describe a specific feeling, but in my humble opinion (and I guess the opinion of most Bogotanos) this soup reminds me of family gatherings and, in contrast with mute, very big cups of soup. So, here we have a bunch of possibilities to enjoy Colombian flavors, specifically those of Bogotá. However, no matter the region, every traditional dish is popular in all the country and, in almost every city, people can find any traditional dish without caring where it comes from. In this way, it is easy to taste a piece of Colombian culture in a dish of traditional gastronomy.